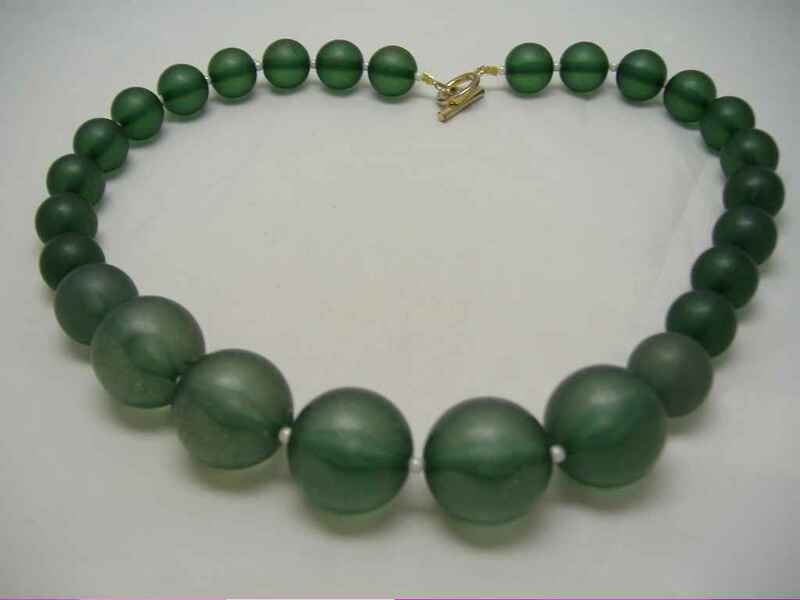 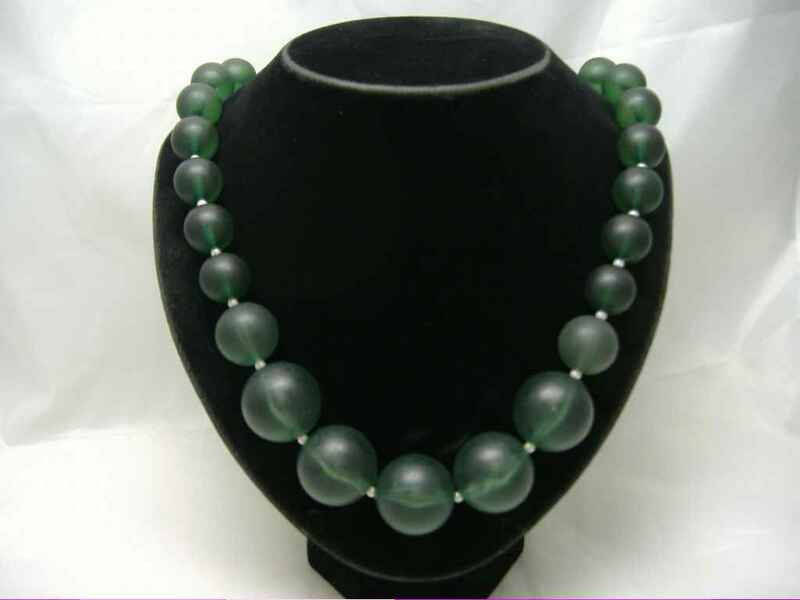 We are pleased to offer this stunning vintage 1950s chunky green lucite moonglow bead necklace which is just fab. 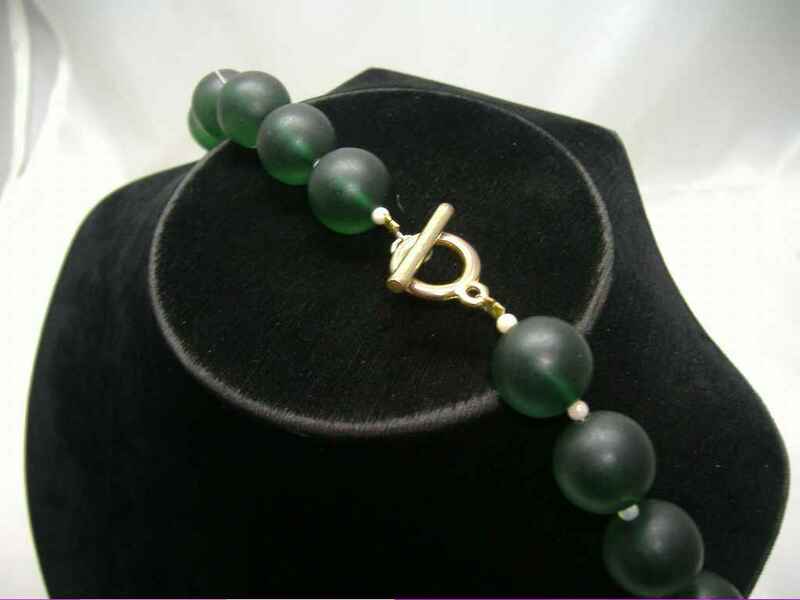 The necklace has been professionally restrung and a lovely goldtone fastener added to it as the original was far too small for such a chunky looking necklace. 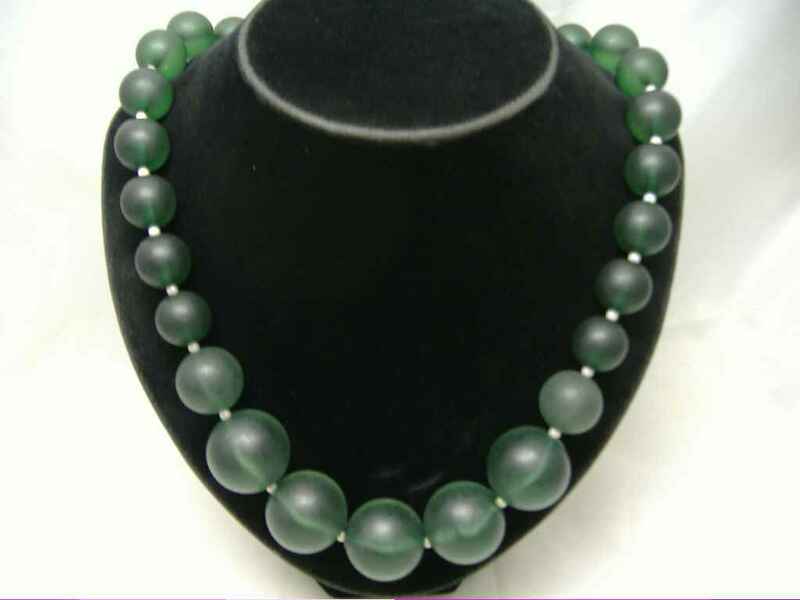 Fabulous colour to the beads, when you hold them up to the light they become almost opalescent. 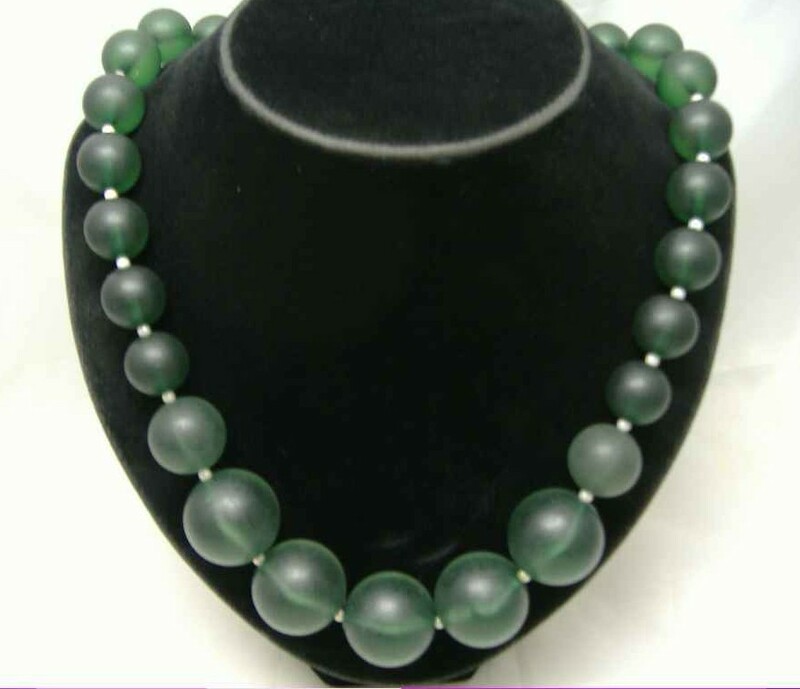 Excellent condition, don't miss out on this one.